After the opening at Blum and Poe, Nara at The Mandrake with a good punk rock mix. He’s old school meet new school. The whole room was buzzing… he’s such an art star. 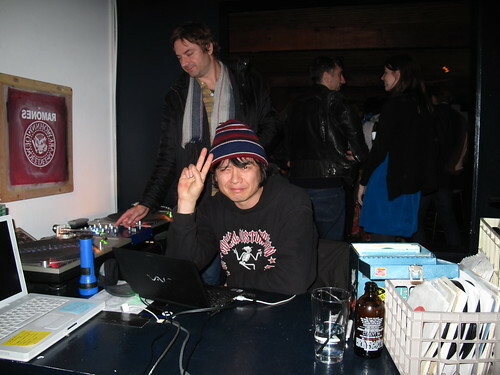 There is Shig, friend and resident DJ at The Mandrake.